I have to say, this is one of the best "In Memorium" patches I've seen on a jersey. The use of Feller's iconic pitching stance evokes the images of yesteryear. 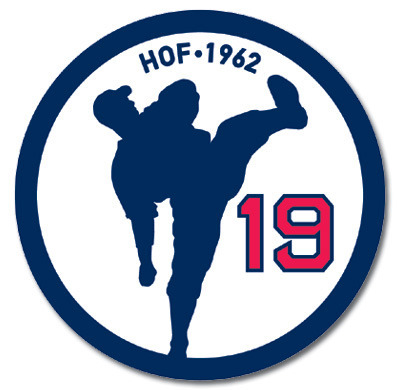 I wasn't even born when Feller pitched, nor was I born when he was inducted into the Hall. Yet, as part of the history and lore of the Indians, I instantly recognize the person behind the silhouette. I'm generally not a "patch collector," though I have a couple. This is one I hope to add to my Indians collection some day. If you check out the link below, you can find other murals, banners, etc that have been designed by Mr. Pietravoia. I like the Indians media book cover as well. 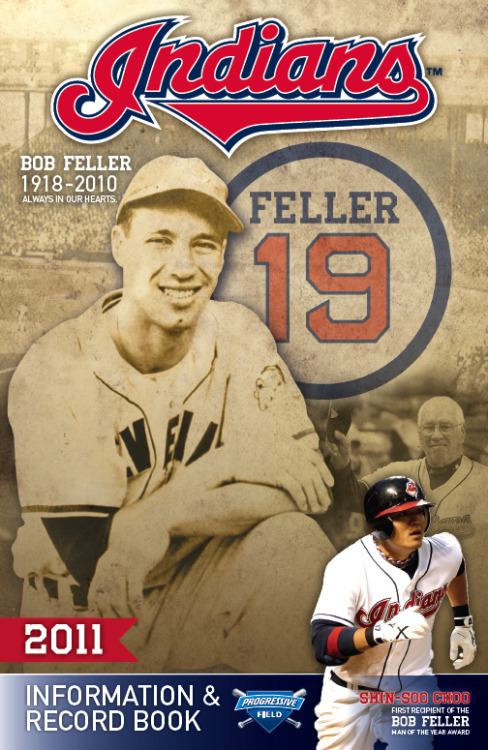 It is hard to believe we are about to embark on our first baseball season as Indians fans without the great Bob Feller. Just maybe he will be a special angel to the Tribe this year, and we come out of nowhere and surprise the rest of baseball. I like the patch too. Keep me posted if you are able to locate one. I will let you know if I find it here in Ohio anywhere. And like always, Go Tribe and happy collecting!